Australian Warehouse Solutions offers a unique line of dunnage bags designed to prevent damage to cargo during transit. Transport spoilage is a major concern for exporters since it can cause unnecessary loss and expense. Void space inside containers causes movement of cargo when in transit, resulting in damage to the goods. AWS dunnage bags are a range of inflatable pillows that are wedged between the pallets and walls of the container so that the pallets cannot move during transit. 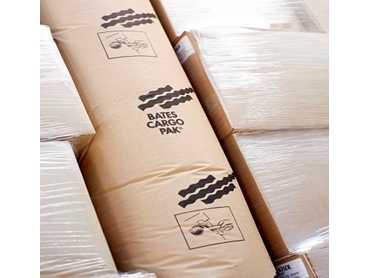 Dunnage bags are cost-effective as well as environment-friendly and can be quickly inflated. AWS dunnage bags are easy to use and save the exporter or transporter from expensive and embarrassing spoilage claims. Inflatable dunnage bags are available in a range of sizes to accommodate different types of containerised cargo. Reusable dunnage bags are also available and are ideal for transporting between organisational branches or when the cargo needs to be loaded and unloaded several times on the same trip.